Happy Halloween, everyone! It is a great season of fun as we head to the holidays. For many Triangle, Lake Norman, Charlotte, and Wilmington home buyers, shopping for a new home and location can be very challenging. Fall is the perfect time for making a change, and there are many homes on the market in the regions of North Carolina we serve! It is important, especially for first time home buyers to separate wants and needs. Unfortunately, there is no “perfect” home; yet there are so many places to live that improve lifestyle and opportunity! Some home seekers have an unrealistic list of must-have features and this causes them to miss out on a great upgrade for an ideal home. Our expert agents at Flat Fee Realty want to help home buyers across North Carolina find the best available home this time of year. 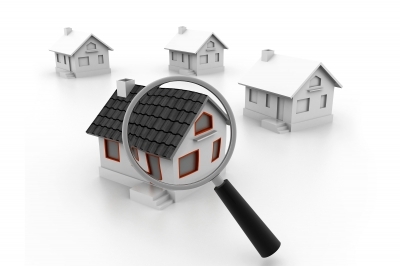 We will help every prospective buyer know the variables of what is important when looking for a home. The home’s decor: It truly does not make sense to disregard a home due to interior paint color and fixtures. An original homeowner’s taste in design is a simple fix and it should not affect the house’s suitability. A baby’s room could become a home office. Do not focus on changeable items and temporary situations. Home warranty: In the competitive North Carolina real estate market, some sellers will offer incentives. While a new home warranty does offer benefits and provides basic peace of mind, be careful to be over-influenced. A warranty only covers specific systems in the home and provides for discounted repairs; do not confuse it with insurance. Interior space: Many buyers want a specific amount of square footage, but flexibility will allow suitability. An open floor plan can make a smaller home feel larger, and townhomes offer advantages as well. Open houses can be a lot of fun for buyers, but there is a lot to think about. The one strategy home buyers in the Triangle, Lake Norman, Charlotte, and Wilmington can apply is to keep things simple. Focus on the basics of what is important. Keeping non-negotiable needs the top priority and assess the possibilities of everything else. This advice is central to a low-stress home buying experience. Our team can help. 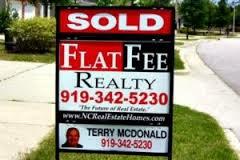 And our buying and selling agents at Flat Fee Realty are here across North Carolina to begin the process! Contact an agent at Flat Fee Realty today! Happy Halloween! This post on selling and buying a home in the regions of the Triangle, Raleigh, Lake Norman, Charlotte, and Wilmington is brought to you by the team at Flat Fee Realty and is intended for informational purposes only. Shows like Fixer Upper and Property Brothers are fun to watch and inspire many homeowners across North Carolina to think creatively about how to upgrade their homes. For both sellers and buyers, completing home-improvement projects can be rewarding and can make a home in Charlotte, Lake Norman, Wilmington and the Triangle more attractive and functional; however, whether just moving in or preparing to sell a home, Flat Fee Realty agents recommend clients consider the return investment before spending large sums of money on major renovations. Update a dated bathroom: A nice bathroom to pamper oneself goes a long way in the housing market. Bathroom remodels normally earn back up to 100% of what homeowners put into it. Not sure where to start? Tile the area around the tub, and add a shower door. Upgrade the vanity (choose something both stylish and functional with storage space) and install a new faucet. If there isn’t any ventilation in the bathroom, adding a new bathroom vent fan may help keep the humidity and mildew from warm showers at bay. Add curb appeal: First impressions are everything. If the house exterior needs cleaning, try remedying the problem with a spray like Wet & Forget. If it still looks dull and faded after that process, consider freshening up the outside of the home with a professional power wash, then a fresh coat of paint. Next, think about the light fixtures both for safety and curb appeal. Finally, a nicely-landscaped lawn can go a long way. Start by trimming any overgrown bushes or trees. Then, consider consulting a landscaper or even a local garden center for ideas. Upgrade the kitchen: Kitchens are another great place for upgrading for a solid return investment. Try to avoid the cheapest materials, but don’t overspend by purchasing items that are more luxurious than functional. Also, remember that while television shows entertain viewers with major renovations, many homeowners can create beautiful spaces with a few simple changes. For example, consider creating storage space that makes items easily-accessible, add granite countertops, and add an upgraded backsplash. Before spending money on a major renovation, clients should contact a Flat Fee Realty agent to ensure their plans align with the interests of most buyers. This will increase the likelihood of getting a return investment on one’s home-improvement projects. This post on selling and buying a home in the Triangle, Wilmington, Charlotte, and Lake Norman is brought to you by the team at Flat Fee Realty and is intended for informational purposes only. It’s no secret that the Triangle is growing rapidly each and every month. While this growth is great for the North Carolina economy, making Raleigh a candidate for new Amazon and Apple headquarters, it also contributes to a competitive real estate market. From cities like Raleigh and Durham to towns like Apex, Cary, or Holly Springs, the Triangle’s real estate market is booming. For those looking to put down roots—especially first-time buyers—it may seem intimidating. Working with an experienced Flat Fee Realty agent, however, has its advantages when buying a home in the Triangle’s competitive market. Access to MLS: With houses selling so quickly, it is important to be able to see available homes as they come on the market. Searches can be tailored to meet buyers’ interests and needs. For example, the number of bedrooms and bathrooms desired, a range of square footage, and garage size can all be filtered, so buyers can easily see the homes that will appeal to them and their needs most. While updates with these tailored searches can regularly be sent to buyers, buyers are also able to search through available listings at their convenience. Experienced agents: Buying a home is one of the biggest purchases most people make! Our experienced Flat Fee Realty agents know just what to look for in a home and are happy to answer clients’ questions, so they can make informed decisions. Receiving trustworthy advice from an agent who is familiar with the market and has years of experience in the real estate industry helps buyers to feel more confident when making big decisions in pursuit of buying a home. Expert negotiators: Once buyers find their dream home, it’s time to negotiate. From offers to repairs, our real estate agents have the client’s best interest in mind and our team of professionals know how to navigate the complex and delicate nature of negotiation in the Triangle’s competitive market. Flat Fee Realty agents know that buying a house is an important decision and we are here to help our clients find the home of their dreams in the Triangle with complete confidence. 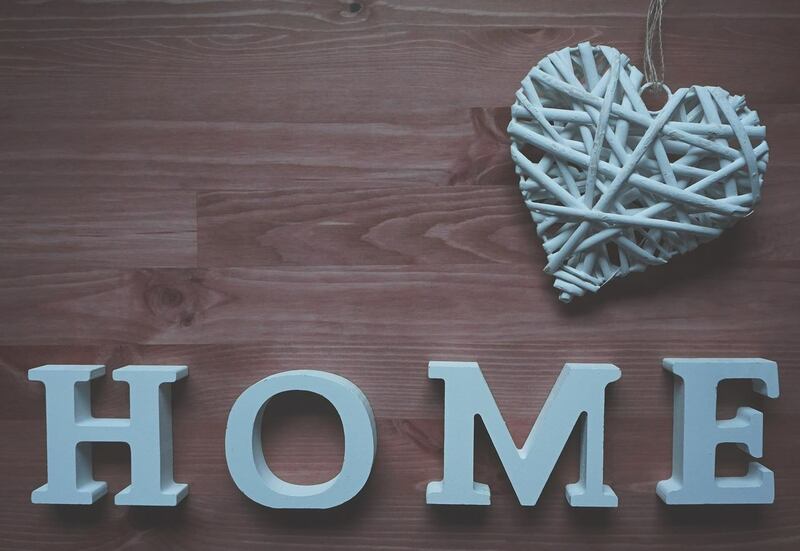 When working with buyers, we are passionate about helping our clients find a house they will be excited to call home. Looking to buy a home? 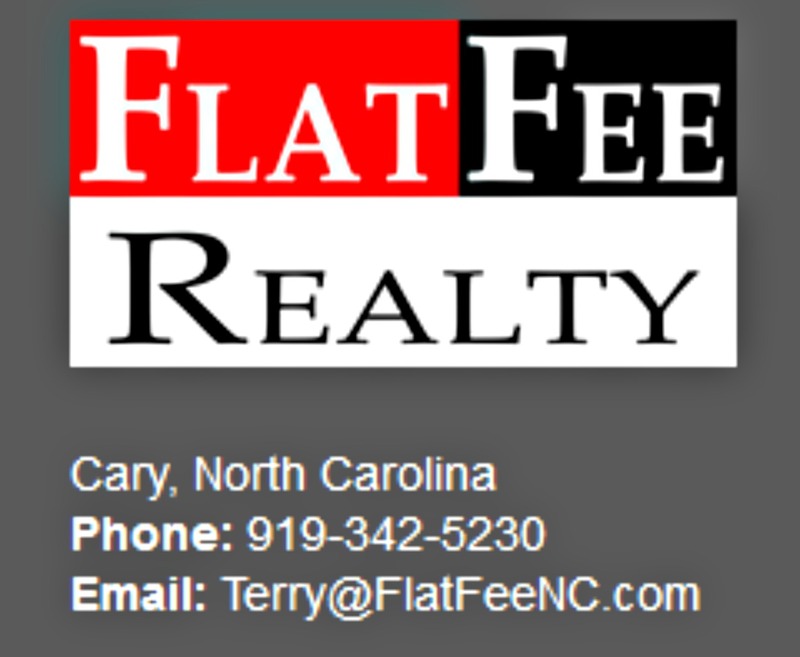 Contact Flat Fee Realty today! Not only do we have offices in the Triangle, we also have offices in the beautiful Lake Norman Region just north of Charlotte, and in Coastal Carolina in picturesque Wilmington. The timing for buying a home in Wilmington, Lake Norman, and Wilmington has never been better. Fall of 2017 is featuring a great market across our sales’ regions. Flat Fee Realty’s expert team of realtors have seen great real estate trends as we head to year-end. These trends lead the agents to believe that now is the time to buy! Rising interest rates: It seems like mortgage rates are always rising. But, mortgage rates dropped quite a bit over the past 2 years which is now leading to a slight increase in mortgage rates. However, we can never predict where the rises will stop, so, it’s best to buy now. Shrinking inventory of available homes: This is a problem across the United States, but it is tremendously more challenging in North Carolina. This is due to a growing economy and beautiful weather, and our schools and regional infrastructure. Our cities are ranked as top communities across the country. Families are coming here every single day, and our housing inventory is getting lower. There is quite a bit of new construction coming to help the problem in 2018, yet finding a home now with our help will get things settled for the new year. Increasing home prices: It is the simple law of supply and demand. As the housing inventory in North Carolina lessens, the price of the remaining homes will slightly increase. Across the country, real estate experts are expecting a 2% to 3% price increase as we end 2017 and head into 2018. There are many important reasons to purchase home this year. However, it may not be the right decision for everyone. If the time is right, contact our team at Flat Fee Realty and set up a time to ask any real estate question. This post on selling and buying a home in North Carolina is brought to you by the team at Flat Fee Realty LLC and is intended for informational purposes only. As newcomers move to North Carolina, people are often eager to find the home of their dreams as soon as possible. There are several excellent ways that home buyers can utilize to find their new home, including seeking out a Flat Fee Realty NC agent, browsing potential options with one of our team, and visiting open houses. Some people may think that open house events are outdated since the internet provides virtual tours, galleries, and more to showcase the listed home. To a certain degree this is true, but there are still benefits to attending an open house, in person, and that cannot be replicated by the internet. Open houses have many purposes: For those who are new to navigating the real estate market, it may seem like the point of an open house is to sell the featured home. In many cases that is the end goal. However, it is important to note that open houses are great for traffic and opportunity. Home seekers can connect with people in the industry and get a feel for how they conduct business. Neighbors are often good resources: In theory, an open house will attract serious buyers only, but that’s not always the case. There will always be neighbors and casual walk-throughs and others with no intent to purchase. However, they usually have a wealth of knowledge pertaining to the neighborhood, schools, community, shopping and more. Reality Can’t Be Retouched: Since the internet is a viable resource for home buyers, people can get a view of the house without ever being on the property. This can be great news, especially for those moving from another area or if there is no time to shop in person. Note that internet photos can be carefully shot to hide flaws or to exaggerate space from a specific angle. The benefit of attending an open house is seeing the home in person, without the magic of photoshop or filters to adjust its image. Open houses are still useful in the real estate market today, especially for home buyers in the Triangle area who are looking to connect with the best of the best in the industry. Contact us at Flat Fee Realty to inquire about local open house events and to meet with our friendly and knowledgeable agents! Terry McDonald and his team in the Triangle, Lake Norman, and Wilmington are ready to help today! As the Carolinas head to Labor Day and the start of back to school, it is a great time of year for Lake Norman, the Triangle and Wilmington. it is beginning to cool down but it is still warm enough to enjoy the outdoors. September is also a great time for real estate as many local families begin considering a move to a new home. Many homeowners begin the process by considering home improvements that will attract just the right buyer. At Flat Fee Realty, headquartered in the Triangle, we suggest keeping things simple while at the same time staying within the family budget. Many of homeowners can make a few quick changes to their home to improve the offer price. Update the décor: If a room feels outdated to the homeowner, it will most likely feel that way to a potential home buyer. A home needing updates is a big reason not to buy for many house seekers. Again, keep things simple. Replace older rugs and window coverings. Paint rooms in a neutral color. Change out fixtures and add new knobs to kitchen cabinets. Determine if the flooring needs to be updated. Add some light throw pillows or wall decorations. Spending a little often brings a lot of return. Clean and organize: Many North Carolina homeowners have lived in their home for a long time. There is a good chance that there will be clutter and a little disorganization. Toss unnecessary items, give away what is not needed, and store as much as possible to give the home a warm and organized feel. Decluttering is one of the main priorities. Clutter is the number one reason buyers choose another home. Improve curb appeal: This is typically one of the most cost-effective home improvement projects and a great one for fall. Does the lawn have brown spots? Work on seeding over those sections. Add fresh plants and flowers to the flower beds. Trim the bushes. Edge the lawn and have the driveway power washed. If needed, add a fresh coat of paint to the exterior of the home. 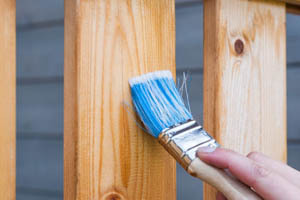 There are quite a few simple upgrades for the exterior of the home, including putting fresh paint and handles on the front door, that will help home buyers feel right at home when they first pull up. These are all really easy, cost effective projects that will help any home sell faster and get a better asking price. Looking for a first home, maybe a bigger one for the family? Call our offices in Lake Norman, Wilmington and in the Triangle to chat about the process of selling and buying a new home this fall. Contact the Flat Fee Realty team to get started today! This post on selling and buying a home in Wilmington, Lake Norman, and the Triangle of North Carolina is brought to you by the team at Flat Fee Realty LLC and is intended for informational purposes only. Selling or buying a home is a time-consuming process. And involving a good experienced realtor can make the difference. Most buyers and sellers have plenty to do beyond the sale and finding the right team to work with is critical. 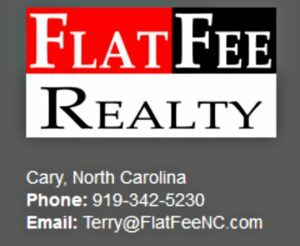 Flat Fee Realty in the Triangle, Wilmington, and Lake Norman is a valuable partner for many homeowners and home seekers in the Tar Heel State. While the Flat Fee opportunity might be considered a little unconventional, it is a safe, cost effective, and simple way to sell a home in North Carolina. Buyer’s agents won’t show our homes: Most flat fee listings do in fact offer commission to the buyer’s agent. The amount of commission to be gained from a sale should have no effect on what houses an agent shows to clients. The buyer’s representation agreement or the offer to purchase will typically include how commission is paid to the partnering agent. Flat Fee Realty is almost the same as a (FSBO) For Sale by Owner: When a house is being sold by the owner, every aspect of the process is up to the owner/seller: marketing, pricing, closing, negotiations, and legalities. Flat Fee Realty manages many of these services on behalf of the client. MLS is Crucial: Real estate has changed with the evolution of technology. While a multiple listing service (MLS) is important and still used, it is not the only tool that Flat Fee Realty Agents use. In many cases, it still can be the first place that our agents go to look for reviewing homes for clients. However, sites like Facebook, Pinterest, Zillow, Trulia, and more are also assessed and used to showcase homes. Our local Flat Fee Realty listings offer great benefits, including great money savings, to both home buyers and home sellers. If readying a home for sale in North Carolina, it is important to consider a flat fee listing. Please contact us today to find out more about what we can do for you! At Flat Fee Realty, we offer everything that a seller would need and we do it with our clients in mind. We are the Future of Rael Estate in the Triangle, Wilmington and Lake Norman. Yes! 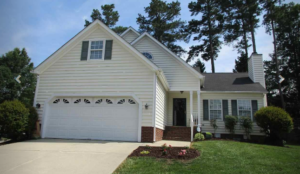 The home in the picture is for sale in Cary! There are a number of housing trends in the Triangle, Lake Norman and Wilmington markets to track in 2017. One major factor is the mortgage rate, which will continue to have an impact on the housing market overall across the entire state. Luckily, our homeowners and buyers in our three markets have a dedicated team of professionals working hard to stay on top of mortgage rates and more. Our experienced agents at Flat Fee Realty are transparent about the potential impacts the rising mortgage rates will have, and we’re dedicated to ensuring that home buyers and sellers are knowledgeable of the market shifts. Mortgage affordability: Buyers have been able to secure historically low rates for the past few years, but since the national election in November, the rates have increased and we may see more increases throughout 2017. Since income hasn’t increased in tandem, this leaves homeowners making slightly higher monthly payments than they did last summer. Lower inventory: Since current homeowners have lower fixed rates, it could be less appealing to sell a home and refinance or take on a new mortgage. This will potentially lead to fewer houses listed on the market, which will in turn make home buying a little more challenging. Working with a Flat Fee Realty NC agent is very beneficial for buyers who need guidance and access to more properties that could otherwise go unnoticed. Housing appreciation. According to Zillow, home values did increase by 6.8% in 2016, and they’re projected to rise 4.6% in 2017. So, with increased home value, buyers will be faced with borrowing a little more and at slightly higher rates. Again, our agents will help navigate the shifting market and give homeowners and potential buyers peace of mind in 2017. Although things may look uncertain for the Carolina housing market this year, there’s no need to worry if our Triangle, Lake Norman and Wilmington residents are working with our local teams at Flat Fee Realty. Despite the increases, we’ll be here to guide our homeowners and buyers throughout the process, ensuring they are aware of all current market trends. Contact our regional office in Morrisville NC today to see how we can help find an affordable home at the right price. This real estate blog post on mortgage rates and home buying and selling in North Carolina is brought to you by the team at Flat Fee Realty LLC, and is intended for informational purposes only. Buying a home is a major milestone for Triangle residents. However, the lengthy process of viewing listed properties, making offers, and utilizing due diligence periods is usually worth the time and effort, especially when the closing date is in sight. There are times when the process does not go as planned and home buyers in the Raleigh, and the rest of the Triangle find stumbling blocks as they head to closing. Our expert real estate agents at Flat Fee Realty have seen last-minute surprises that that can hamper the process, but the collective expertise and guidance of each agent has worked through the setbacks. Home appraisal issues: Transactions for buyers and sellers always include a bank appraisal of the property –they’re imperative for buyers acquiring a mortgage. The bank’s appraisal may differ from the seller’s original listing price, often due to repairs the bank requires before the loan process. The closing may be delayed if this issue arises, and having the guidance of an experience Flat Fee Realty agent can prevent this from being a surprise at the last minute. Title problems: Knowledgeable and practiced agents are an asset for buyers in this regard. We are able to ensure that the buyers are acquiring a clean title and that it will not impact future financing or sales of the property; we research the title to ensure the buyers are not buying a property with liens against it. Additional documentation: Mortgage lenders are scrupulous in their reviews of buyer funds. A simple pre-approval may cause buyers to assume everything is fine, and they could be, but there are numerous documents that are required to finalize the lending process. Often, lenders will look more deeply into credit and bank statements even days before closing. The request for additional documents, such as explanations for recent deposits, may delay the process. Our Flat Fee agents can help ensure buyers are prepared with all documentation that will be needed to avoid confusion and miscommunication. Buying a home needs to be a joyous occasion for Triangle buyers, even if it can be somewhat of a headache. There’s no need to worry about any of the hurdles of buying and closing on a home with a friendly and trustworthy agent from Flat Fee Realty assisting with the process. For the best service in Triangle real estate, contact us today! The very hot Triangle real estate market is buzzing with spring activity; potential sellers and buyers have many questions as to how the process works. Flat Fee Realty has the buyer’s and seller’s agents that can help owners and buyers have a great experience. Now, what is the difference between the buyer and seller agents. Regardless of the situation, our team at Flat Fee Realty believes that Triangle sellers and buyers in the Raleigh, Cary, Apex and the entire region will benefit from having an experienced and local agent by their side. Seller’s Agent: The seller’s agents are also known as listing agents, and they will represent the seller throughout the selling process. They will strive to get the best deals for the seller, and they will often make suggestions during the selling process for making the home look its best. This process can include the staging for photographs, updates to the home to make it more desirable to buyers in the market, and other related strategies. Seller’s agents are also legally required to disclose important information about potential buyers, to minimize last minute surprises. Buyer’s Agent: Buying a home in the Triangle is a milestone for many people in their lives, and it’s typically the first major financial decision they will make. Buyer’s agents protect buyers, and help them understand the often-complicated terminology used in contracts. This guidance helps them to more easily navigate the local housing market. Our Flat Fee Realty agents will help buyers get the best price for the home and point out any issues that need to be addressed during inspections and appraisals. 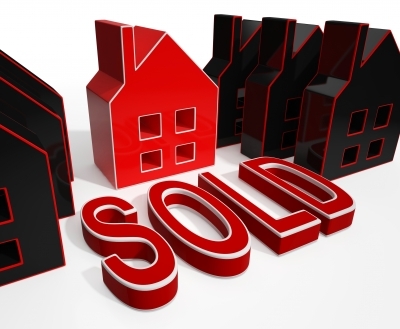 Buyer and seller agents are integral to the home buying process in the Triangle area. Our agents at Flat Fee Realty are eager to help each party have the best experience and save the most money. Contact us today to see how we can help you buy or sell your home! This important real estate blog post on selling and buying a home in the Triangle, is brought to you by the team at Flat Fee Realty and is intended for informational purposes only.